When Parker Banks moves with his family from London to New York, he struggles to adapt to his new school and environment. His scientist dad is constantly at work on a top-secret technological venture for a major corporation, when one day he is kidnapped. It is up to Parker, along with his deaf sister Emma, their friend Michael and the pet pig their father left behind, to find and rescue him. They have at their disposal the E.F.E. device that their dad has invented to allow the family members to communicate with one another through telepathy. 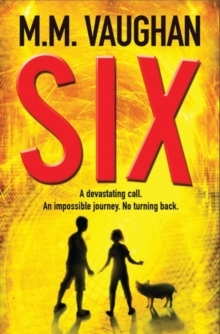 As their search progresses, it becomes clear that Six, the project that Parker's father has been involved in against his will, is a sinister enterprise that poses a threat not only to the Banks family, but to the world at large.